About mold casting, mold and cores can be of either steel or any other metal. Here also the aluminium is melted first and is poured in the mold provided. Sometimes vacuum is also applied. In some situations, Permanent mold casting is seemed to be stronger than both die casting and sand casting methods. Semi-permanent mold casting techniques are used when permanent cores are impossible to remove from the finished part. Sand casting is the most versatile method of producing aluminium products. Usually, the molted aluminium is poured into a mold which is virtually pressed into a fine sand mixture. The pattern will be little larger than which needed for the aluminium shrinkage during solidification and cooling. Sand Casting is usually a slow process than both die casting and mold casting. Usually, it is used for small quantity products. The most important cast aluminum casting alloys system is Al-Si. Here high levels of Silicon contribute to give good casting characteristics. aluminum casting alloys are widely used in engineering structures and components where lightweight or corrosion resistant is required. Metals and precautions related with aluminum die casting Different types of aluminium can be used for die Casting, Aluminum casting manufacturer & aluminum casting is used in order to cover different types of metals by using different types of methods. There are many methods used for aluminum casting and different types of benefits are obtained. 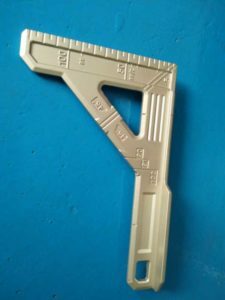 With the help of aluminum casting and aluminum die casting it is possible to increase the life of metals and these can be used for a long time period with an amazing look and charm of metal. Different types of methods are used for aluminum die casting . Main thing is to melt aluminum. High temperature is needed for melting aluminum. Special structures are used for melting of aluminum. When aluminum casting is melted then it is poured on the target metals. Then the melted aluminum casting is allowed to get hard and it is ready to be used after some time period. There are special containers which are made to be used for melting of aluminum. These structures are available in the market in different shapes and sizes. You are also able to make these structures at home by using the desired ingredients. You have many options in making these structures. If you are going to buy this structure from the market then you have to make selection of the size and shapes. There are many options in terms of sizes and shapes and different types of prices are charged by makers. Working of these structures is also different as some use fuels and some use manual efforts for getting heat to make sure that aluminum casting could be heated and melted effectively. High temperatures are obtained in these structures and then aluminum casting is melted and then used on the target metals for casting process. 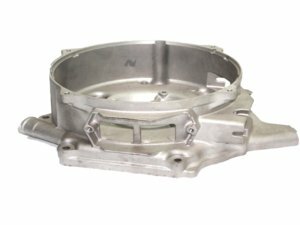 There are many types of benefits of aluminum casting. Mainly this type of casting is done to make sure that the metal can remain safe from corrosion. Atmosphere conditions and moisture is bad for iron and casting can help to protect iron and increase its useful life. aluminium die casting is able to resist moisture and other harmful effects of the environment due to which it can be used on metals through casting. The protective shield is made on iron to make sure that it can be used for a long time period. aluminium die casting companies can be cast on iron and make a protective sheet. This protection is in the form of a shining layer which is obtained by using high temperatures. This layer is permanent and good looking along with increasing strength and useful life of metal. Mostly iron is cast with the help of aluminum. This is a cheap process and the user is able to get benefits as the life of iron is increased. aluminium die casting mold can be used for casting of iron and other metals. There are many methods available for this process. With the help of any reliable method, the user is able to get benefits as the metal is saved from corrosion and other harmful effects of the environment. A protective layer is made as a result of casting and this layer is of aluminum. With the help of this layer, the metal can be used for a long time period. Metals and precautions related with aluminum die casting Different types of aluminium can be used for die Casting, Aluminum casting manufacturer & aluminum casting Different types of metals can be protected with the help of aluminum casting and aluminum die casting. There are different types of cares and precautions which are to be used to make sure that the user can get benefits while using the casting process. The casting of aluminum casting molds is mainly done to make sure that the metals can get a good look and these can remain safe from harmful effects from the environment. 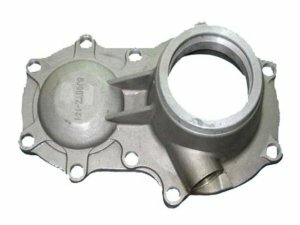 Problems like corrosion of iron and other adverse effects of the environment are resisted effectively with the help of aluminum casting and aluminum die casting. A protective layer of aluminum casting molds is obtained as a result of aluminum casting and aluminum die casting. This layer is made on metals to make sure that these can remain safe from problems. In order to make such a layer, it is important to melt aluminum casting molds. Such metals can be cast with the help of aluminum which has more melting points as compared with aluminum. This is important as aluminum die casting is to be used in the melted form and if the metals used are having a low melting point then these will be melted and cannot be cast. Those metals which have more melting points as compared with aluminum casting molds can be cast effectively. In this manner, a protective layer of aluminum casting molds is made on metals, which is giving them more life and safety from corrosion and other harmful effects of the environment. When you are using a casting process then make sure that you have all the required tools and items. You have to protect your body from extra heat which is generated in the casting process. Melted aluminum must be handled with care as it can fell and lead to hardening and accidents. You must pour the melted aluminum on target metals and give enough time for hardening. You must have the tools which can be used for handling melted aluminum. The tools to be used must be hard enough that these could bear the high temperatures of melted aluminum. You must have special clothes which will cover your body to remain safe from the heat. With some care, you are able to use the casting process to give your metals a new life. The useful life of different types of metals can be increased with the help of casting of aluminum. The casting of aluminum casting molds is used on different types of metals for increasing their useful life. Aluminum is able to make a thin sheet which is giving protection to metals. This layer is obtained by melting aluminum casting molds and then pouring the melted aluminum casting molds on the surface of target metals. Different types of metals are cast in a routine with the help of casting of aluminum. You must have the tools and items to be used to complete the casting process. With some care, you are able to get desired results in the form of casted items and metals which will give you long term benefits. You must understand the casting process and learn it before trying it. When you have the knowledge and items for completion of the casting process then you can try this at home.